Running a vehicle fleet presents a great opportunity for branding. For utility or infrastructure businesses, however, there's a real risk of taking ownership of an inconvenience, because vans are most likely to be noticed as part of a disruptive road works operation. 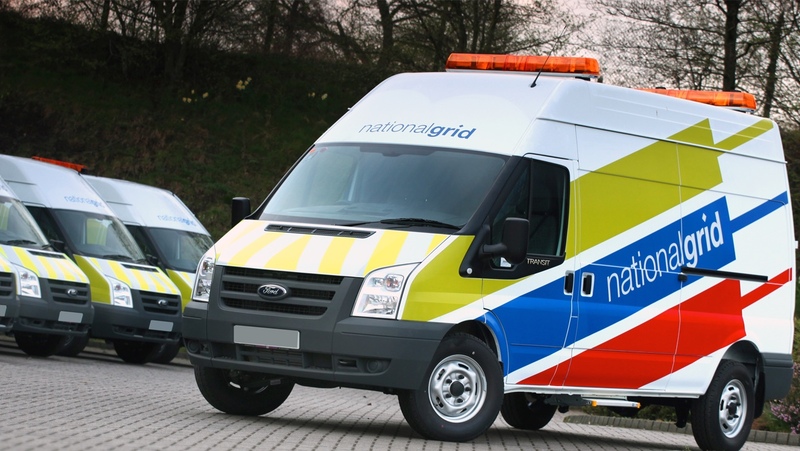 This was the dilemma that National Grid faced when they chose to revisit their vehicle livery. They had already made a decision to communicate more fully the essential role they play designing, building and maintaining the energy infrastructure we all need and expect. Our client contact had recently been appointed to an External Communications and Brand role. He recognised that the fleet was a key expression of the brand's new 'coming out' strategy and a good way of testing the board's appetite for change. We began by suggesting a variety of different approaches, which allowed us and the client to move forward in a common direction. Once we had chosen a design we showed them on 3d computer models and before applying four designs to the vehicles for final approval.